Heterogeneous thyroid is really just a fancy way of saying that things are not uniform in the thyroid. Most of us have hear the term homogenous, which means the same or alike in context. Heterogeneous thyroid means just the opposite – not alike or inconsistent with the surrounding parts or tissue. Unfortunately, a diagnosis of heterogeneous thyroid may mean some serious thyroid problems. 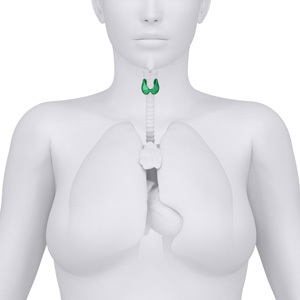 The thyroid is a small gland that is located in the center of the neck, just at the base. This particular gland is responsible for sending out hormones into the body. The hormones distributed by the thyroid gland are generally responsible for delivering energy to individual cells in the body. A goiter is basically an enlarged thyroid gland. The enlargement can cause the neck to bulge very uncomfortably and can cause associated problems. Most of the time, a goiter is a symptom of a thyroid imbalance or some type of nutritional deficiency. Other illnesses that can cause a goiter include Grave’s Disease and Hashimoto’s Disease. A goiter can also be the result of thyroid nodules. Hyperthyroidism is the term used for an overactive thyroid gland. That means the thyroid is producing too many hormones. In most cases, hyperthyroidism is caused by Grave’s Disease, which is an autoimmune condition that targets the thyroid and makes it pump out more thyroid hormone than the body requires. Symptoms usually include an unexplained yet dramatic loss of weight. Other signs of overactive thyroid are changes in blood pressure or heart rate, running a low-grade fever most of the time and strange muscle or joint fatigue. Hypothyroidism is just the opposite of hyperthyroidism – referring to a thyroid gland that is not producing enough of the thyroid hormones, or is under active. The symptoms of hypothyroidism include depression, fatigue and unexplained weight gain due to a slow down in the metabolism. Another autoimmune disease, called Hashimoto’s Disease, may also be to blame for this thyroid disease. Heterogeneous thyroid can also mean thyroid cancer, which is basically nodules on the thyroid gland that are malignant, or cancerous. Thyroid cancer is extremely rare, but the development of thyroid nodules is a bit more common. Medical treatment is required to determine if thyroid nodules are cancerous. This thyroid condition simply means that the thyroid gland is inflamed or irritated, usually by a bacterial infection or some type of virus. The doctor can determine the specific cause of thyroiditis and determine the best course of treatment. There are specific thyroid medications that are used to treat the different types of thyroid diseases. Some of these prescriptions have some negative side effects, so it is advised that someone suffering from any type of thyroid disease get as much information as they can about ways to ease the suffering caused by afflictions of the thyroid. Thyroid cancer is treated in much the same way as other forms of cancer. That almost always means surgery to remove the cancerous nodules, and it could also require chemotherapy treatments or radiation treatments. As always, the course of treatment should be decided by the patient and along with a trained medical professional. There are some very efficient ways to treat thyroid problems. All that is required is good information and knowledgeable professionals.